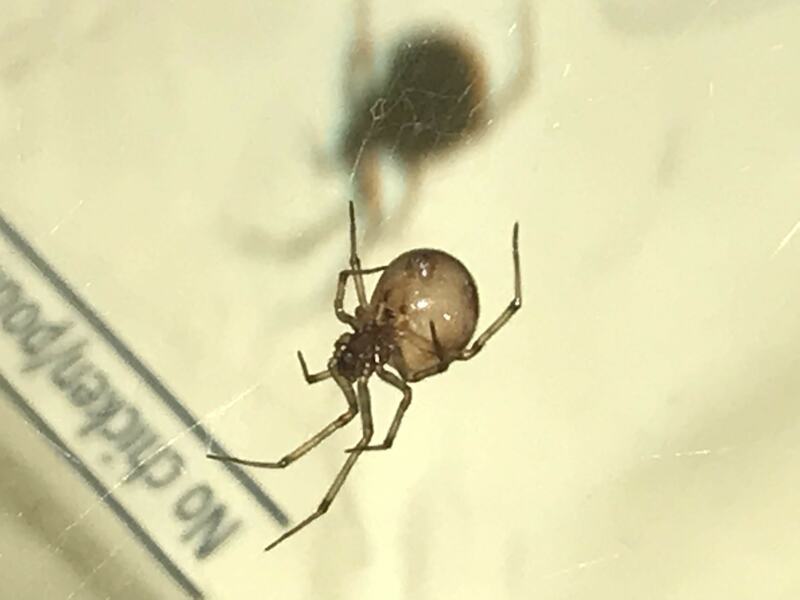 Hi, might be Parasteatoda tepidariorum. Lysol is intended for killing viruses and bacteria. It isn’t effective for killing spiders from what we’ve heard here. You’ll find it more effective and less toxic for your lungs to catch the spider in a cup and bring it outdoors.